Tips and tricks to build a better website and make your business grow. The WordPress block editor is very intuitive. 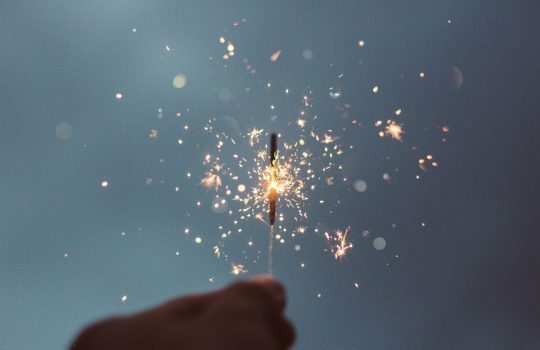 But even if you’ve been using it since its first release, it’s possible that there are still tricks and little things that you haven’t noticed and that can make part of your work as a writer easier. And that’s why I think it’s worth spending a few minutes of your time to reading this post that will help you master the block editor. 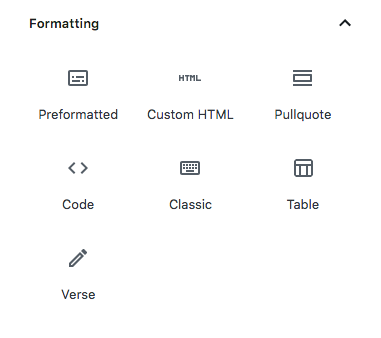 If you’re still with the classic WordPress editor and don’t know how to get started with the block editor, I recommend that you read this introductory article to Gutenberg by David. Assuming you’re already familiar with the new editor, here’s a list of new features or tricks that you may not be familiar with. I’ll start by commenting on some new blocks that make it much easier to create content and, then, some tricks you can use in the editor that can be practical for you. 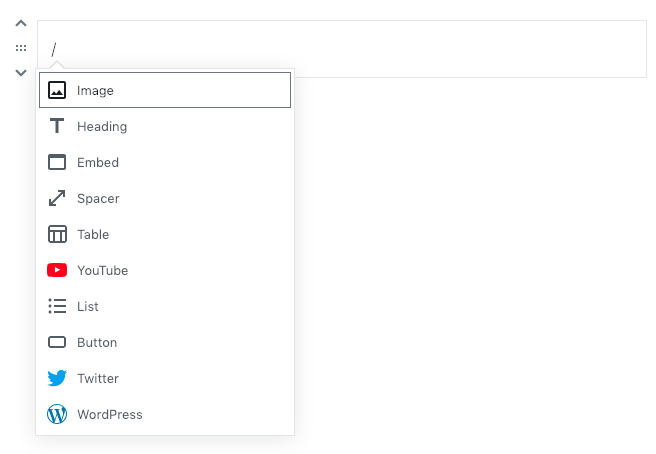 With the classic WordPress editor, if you wanted to add a button in the middle of a post or a page you basically had two options: either switch to HTML mode and write the code, or use some plugin that created a shortcode for the button in question. 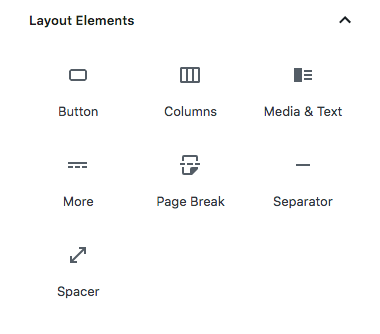 Layout elements blocks of the Gutenberg editor. 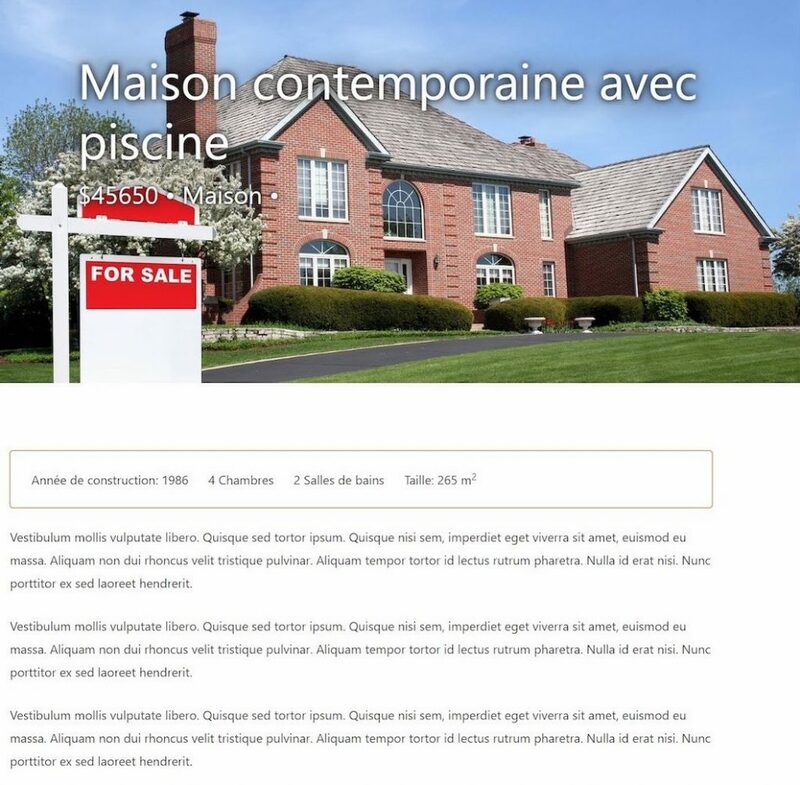 The Button block allows you to create a button in which you define its appearance, the background and font colors, and you can even add a CSS class. Creating a button in this post is very easy! As with the button, adding a simple table with the classic editor also meant doing it with HTML and CSS or with some plugin. In fact, it was often easier to create the table with any other editor and then insert it into a post as an image. Now you have the Table block that you’ll find in the set of Formatting blocks. Formatting blocks of the Gutenberg editor. After selecting the Table block, you must indicate the number of rows and columns that you want to create by default. But don’t worry, then you have the option to add or delete rows and columns. You can also indicate the style of the table. 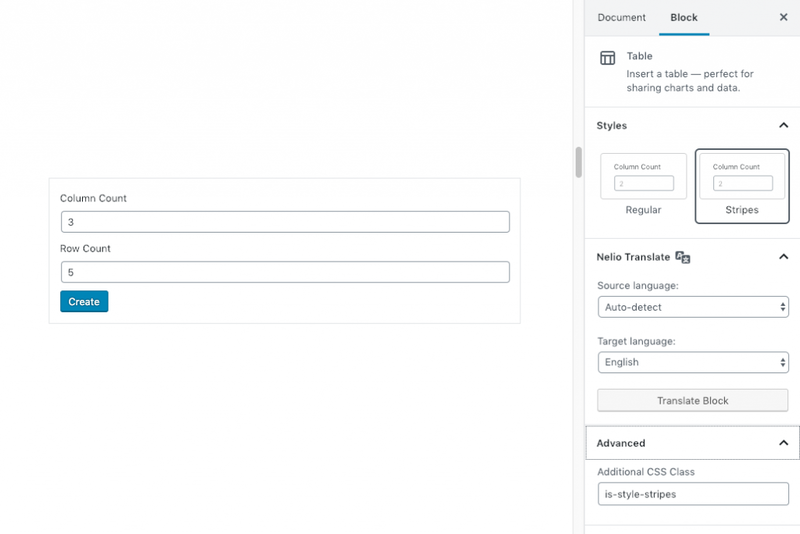 Creating a Table block with the WordPress block editor. In this way, you can create the following table with some features of Nelio A /B Testing very easily. Other blocks that can be very useful are embedded types, which allow you to embed external elements such as videos, Facebook posts, tweets, etc. 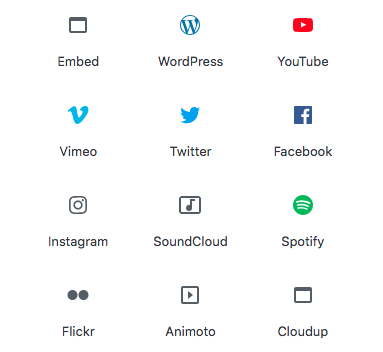 Some of the blocks of the Gutenberg editor to embed third-party elements. This is one of the blocks that perhaps you didn’t know existed either: the Spacer block. Its function, as its name suggests, is to increase the spacing between blocks. The Spacer block has by default exactly 100 pixels but you can customize the height of it as you want. Just position the cursor over the blue dot below the block and increase the size by dragging the blue dot as far as you want. Customize the size of the spacer block by dragging the blue dot. In addition, you can also use an additional CSS class to define how you want the spacer block to be. This can be very useful in the creation of pages. In the classic editor, you would select a post and, automatically, get number of words in that post. Now, where is this information in the block editor? Don’t worry, in the toolbar you have this information at all times very handy by clicking on the icon of a circle with an i. And it doesn’t just count the words, it also tells you the structure of the whole post or page you’re editing. 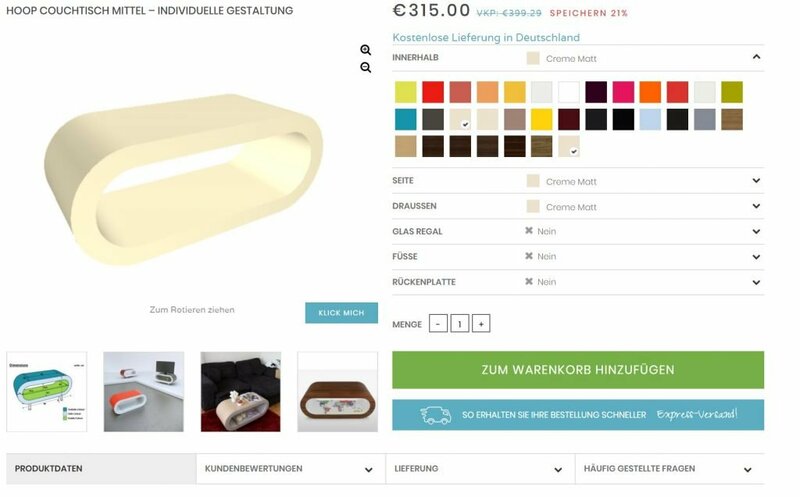 In the upper toolbar you’ll find the information icon about the number of words and structure of your postor page. By default, when you are editing a block you have the block toolbar floating on top of the block itself. 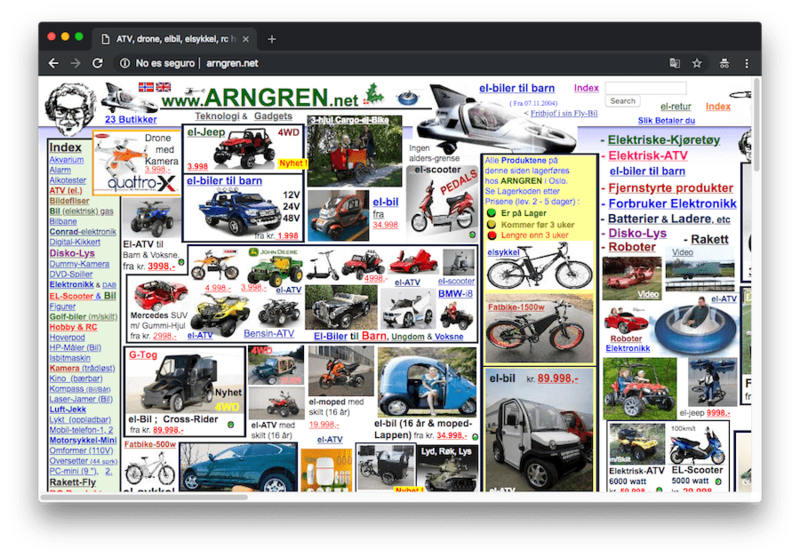 The big advantage of this is that you have it more at hand but the problem with floating toolbars is that they can cover part of the previous block. 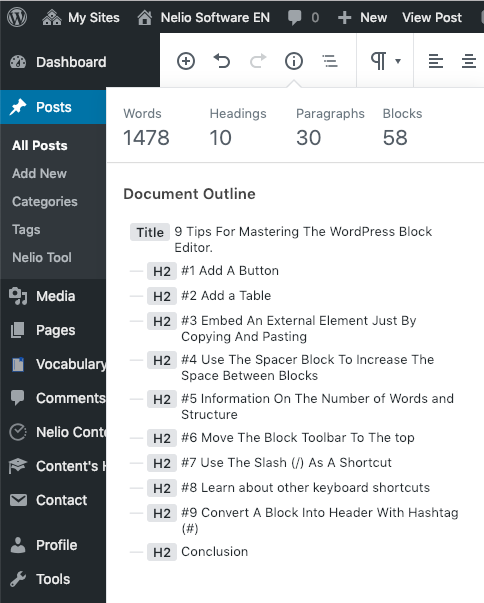 Floating toolbar block in the WordPress block editor. As you can see in the image, the toolbar is covering part of the previous headline. If this is impractical or annoying, you can easily change it. 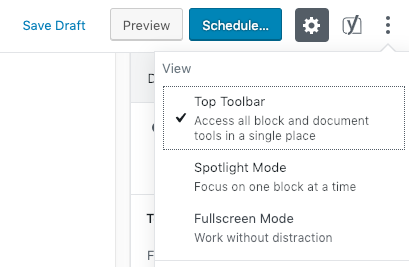 Click on the three dots of Show more tools & options and check the Top Toolbar option. Once checked, you have the toolbar fixed at the top of your editor. Start typing with a slash and choose the type of block you want. Look at the keyboard shortcuts you have available in the editor. Alternatively, you can also access this help with the shortcut or Ctrl ⌥ H (for Mac) or ⇧ Alt H (for Windows). And below I show you the shortcuts that I think you may find most useful. You might consider this as a keyboard shortcut. Gutenberg’s block editor supports three types of headers: H2, H3 and H4. When you are typing the block by default is paragraph type. But you can turn it into a header very easily: start typing the new paragraph with ## for H2, ### for H3 y #### for H4. Try it and you’ll see how easy it is. 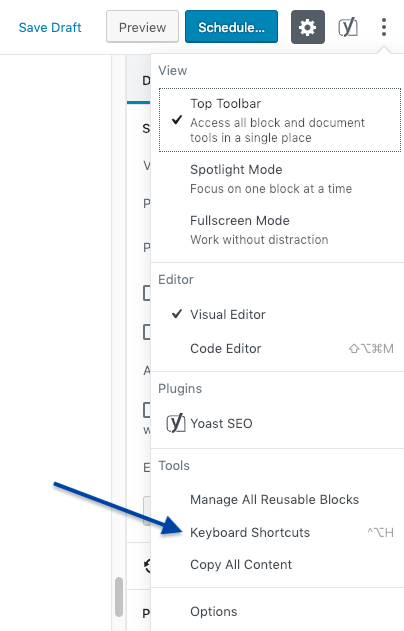 The first experience you have with the new block editor after years of using the classic WordPress editor may not be what you were expecting. But it’s normal, changes are difficult. In the beginning, you might not be able to find certain things or think the editor is slower to use… And it’s true: the block editor still needs improvement in quite a few aspects. But if you learn to master it, little by little you will see its advantages and you will see that there are things that you couldn’t easily do before that you can now do. Our recommendation? Go ahead and give the new editor a shot—you’ll soon forget how the classic editor worked! Featured image of Rana Sawalha on Unsplash. A few days ago, my colleagues at Nelio and I were discussing the future of our plugin Nelio A/B Testing and its upcoming features and improvements. 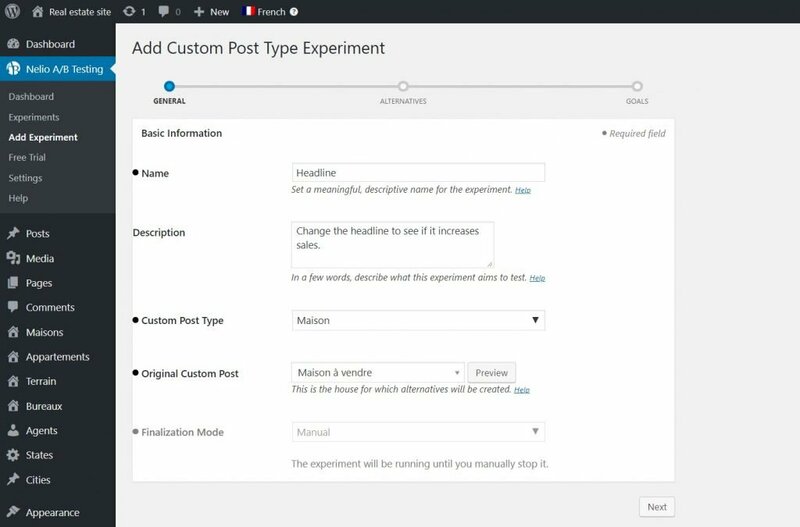 As an A/B testing platform, the plugin requires continuous updates to keep up with the new versions of WordPress and make sure everything works as it should. Keep in mind that it is the first plugin we ever launched for WordPress, at the end of 2013, and it has been in continuous evolution since then. The arrival of Gutenberg in WordPress opened new possibilities for split testing. And this raised an interesting question: should we make an incremental improvement of our product or would it be better to start from scratch and launch something completely new that takes full advantage of WordPress blocks? We have not yet decided which way to go, but I thought it would be interesting to discuss what the problems of launching a new version without backward compatibility is and how we can mitigate or eliminate them. So today I’ll explain two solutions to launch a new version of your service breaking the compatibility with previous versions in a way such that your customers won’t suffer this decision. Make sure your users don’t end up with a non-working plugin. Changing the API with which our plugin can be extended (functions, hooks, etc). Modifying the structure of the database. Changing the API of our cloud (if our plugin uses one). Moving to a new business model and, therefore, shifting to a new paradigm of updates, features, etc. The user can create A/B tests on their website. 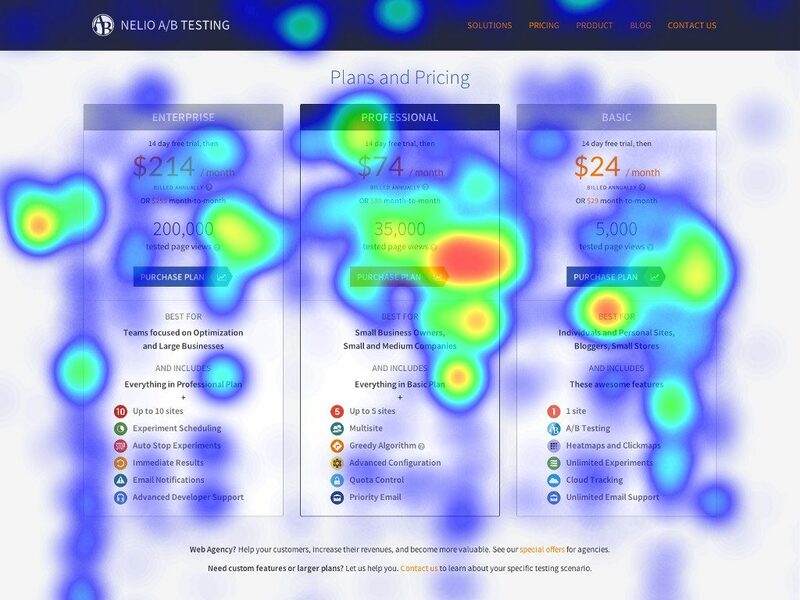 In essence, an A/B test consists of the page you want to test, one or more variations of that page, and the conversion goals we’re trying to improve. All this info is stored in WordPress. 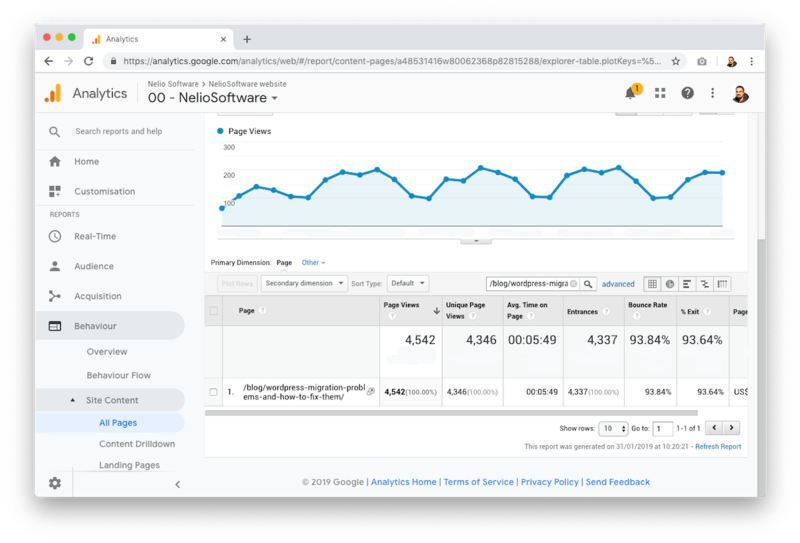 A cloud component is responsible for tracking visits to a website that uses Nelio A/B Testing. Similar to what Google Analytics does, this component collects the information, processes it, and generates a summary of digested results. And, exactly as GA does, this data is sent using a tracking script. Finally, there’s a view in the plugin that connects to this cloud through an API. The view pulls the digested results and shows some stats and graphics to the user. A plugin like Nelio A/B Testing can change in many ways and, if we are not careful, one of these changes might result in a “broken plugin”. For example, let’s assume we want/have to update the API of our cloud. In this case, we’re forced to update our plugin as well, since the tracking script and the results view depend on that API. Therefore, a new API requires a new plugin. But here comes the problem: this new API also means our users are now forced to upgrade, as previous versions of our plugin won’t be able to communicate with the new API. Breaking backward compatibility is not a trivial issue. It’s something that requires careful consideration. And, in any case, the most important thing is to opt for a solution that does not leave your current users with a non-working plugin. Especially to those who are paying you for your service. 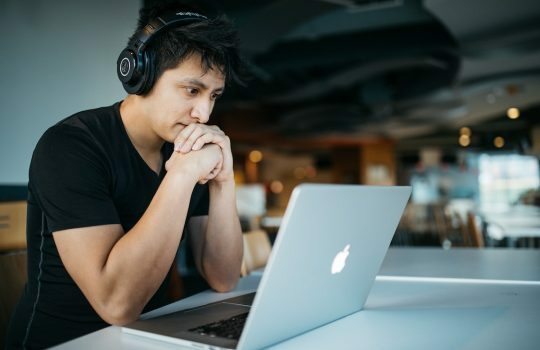 If we are sure that what suits us best as a freelancer or as a company, for whatever reason, is start from scratch with a completely new version of our product and get rid of backward compatibility, there are two solutions. With them, we will be able to make a clean slate while making sure our users will still be able to use what they had before. The first solution we have to launch a version that’s not backward compatible is not to do so. Instead, launch a new product!! By launching a separate product, we avoid breaking backward compatibility, but we are forced to ask users to switch to the new version. This guarantees that current users have an operating plugin that works as usual. In fact, they will never be able to upgrade to a version that “breaks things”, simply because that new version will never exist; you’re launching a totally new plugin and putting your efforts in updating this new plugin, which means they’re “freezed in the past”. The users that we already have will not know that there is a new version of our product, unless we tell them so. 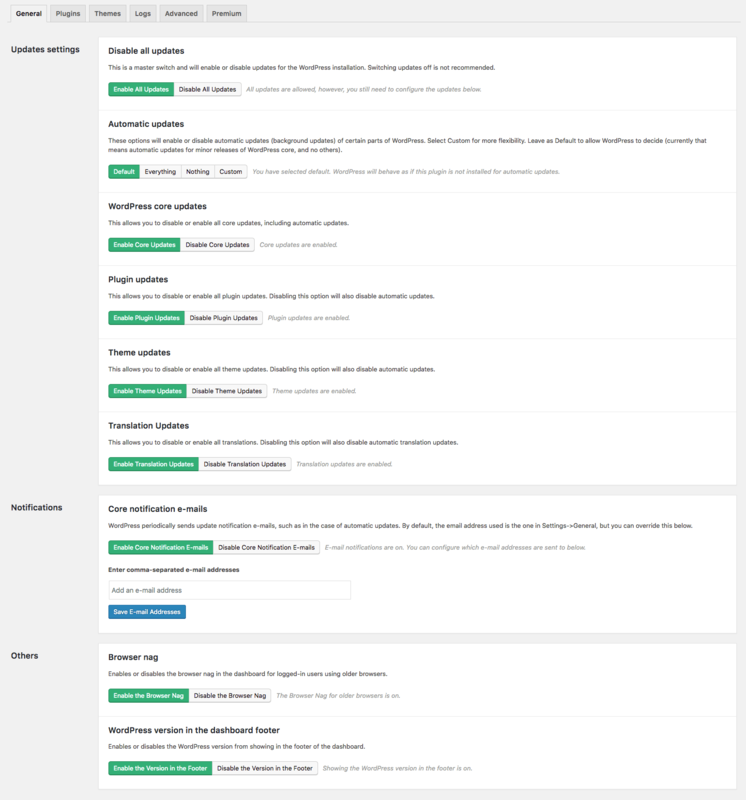 This means we need to promote our “new plugin/service” in the old one, which looks odd… but works fine. Launching a new product is very difficult. 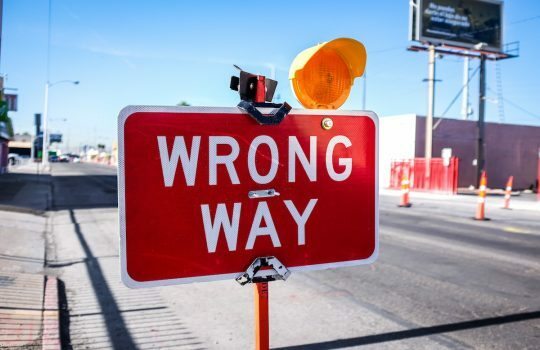 All the effort you made with the previous product (creating a brand for it, positioning it, getting reviews, active installations…) are lost and you’re forced to start from scratch. This is an opt-in solution: we launch a new product and invite you to stop using the old and get the new product. This is what WordPress did (sort of) several months ago when they released Gutenberg as a plugin: you were the one who decided if you wanted to use Gutenberg in your site by installing the plugin on your website. Another option is the inverse approach, or the opt-out solution: release an update of your product that breaks backward compatibility and, in parallel, launch a new product with the old version. In this way, even if the new version isn’t backwards compatible, we offer our users an alternative so that everything works as they’re used to. 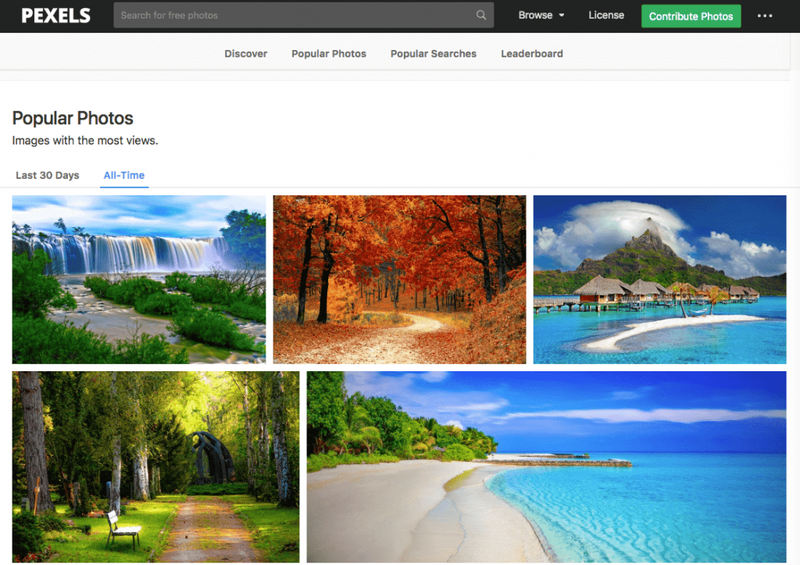 By launching a new version, all users will be able to see and discover it (wow effect). But if they’re not interested in it, we’ll also offer them the option to use the previous version, which would be released as a new product. This method solves the two problems we raised in the previous solution. On the one hand, all users will know from the very first day that there’s a new version of our product/service, and they can see and try out what’s new. On the other hand (and perhaps more important), we continue to profit from all the work we had done so far, since we simply launched a new version of a well-established product. You’ll keep the brand, the reviews, the stats… nothing will change, as you’re not starting from scratch. As you can imagine, this is the opt-out solution: whenever a user updates their plugin, they’ll see the new version (even if they don’t like the fact that it breaks backward compatibility). But you’re also giving them the opportunity to switch back to the old version by installing a new product. 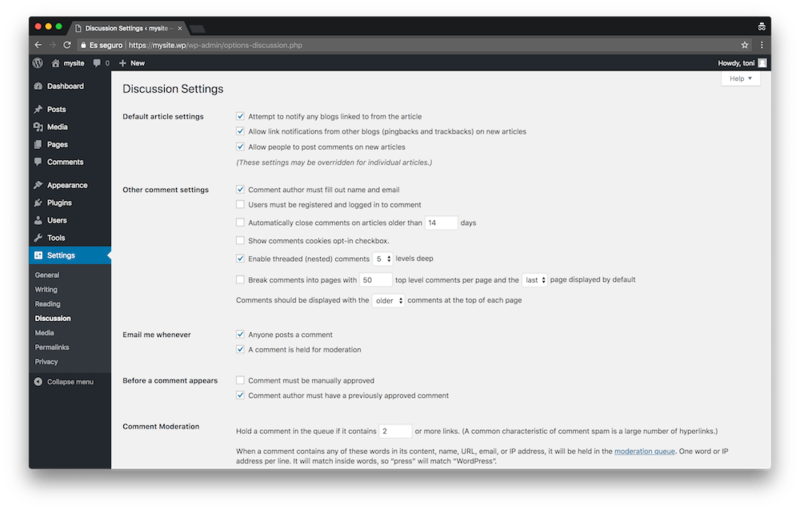 This is what WordPress did last December when it introduced the block editor in its latest update and offered users the possibility of using the old editor by installing the Classic Editor plugin . Breaking backward compatibility is not trivial, since it can have big implications for your users. In general, we would not recommend doing it. But sometimes it’s the only option you have. If you have to do so, I recommend you implement one of the two solutions we’ve seen today. With them, you make sure your users will have a backup plan so that “everything works as it used to” and nobody will complain about “things being broken”. 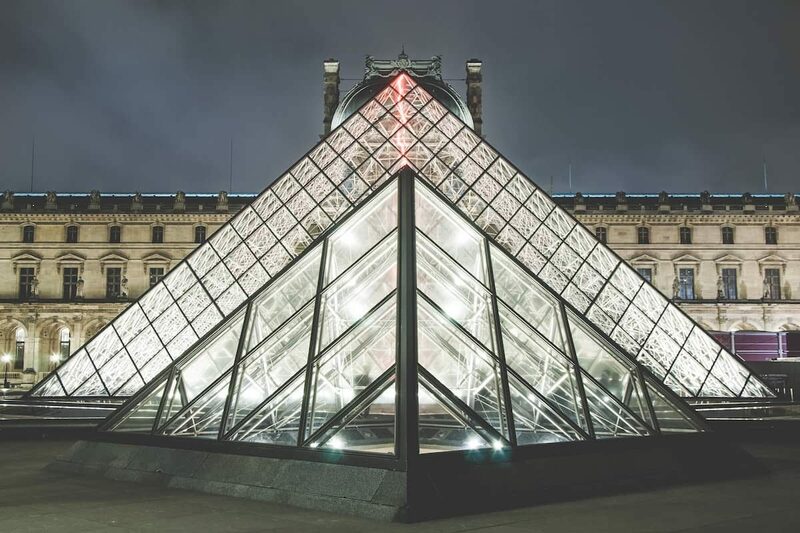 Of course, as a counterpart, you’ll have to maintain two products (even assuming that the “old” version happens to have minimal maintenance), but this is a topic for another post. Now tell me, have you ever faced a problem like this? How did you solve it? What would you do? 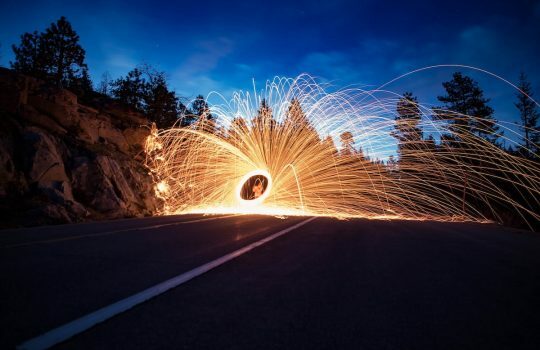 Featured image by Dietmar Becker in Unsplash. More than once you’ve heard the phrase that creating a website in WordPress is very easy. Let’s not fool ourselves: creating a simple website is easy, but if you want some advanced stuff, it isn’t. If you also add plugins without knowing very well what you are doing, your website may be in a state in which you no longer know where you are. We’ve come across websites with Visual Composer and Divi editors installed at the same time. (source: oceanx en Giphy). 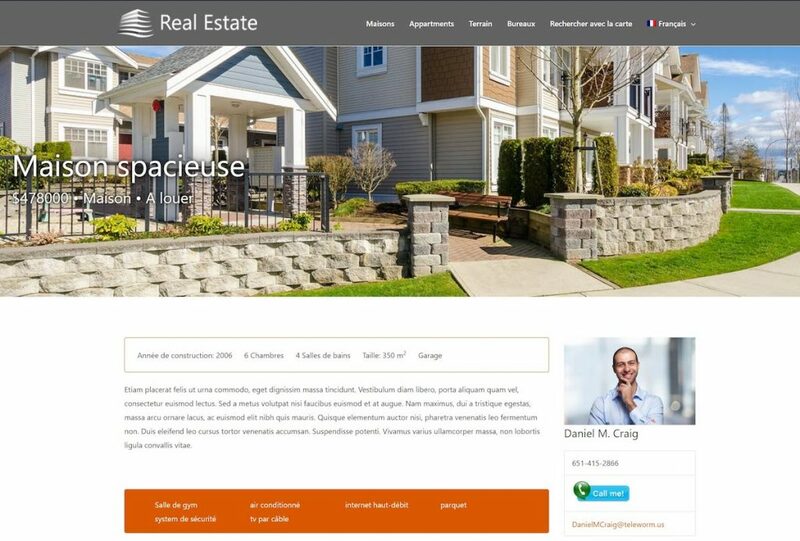 Even hiring expert designers to create your website (by the way, it will surely be one of your best investments), the more knowledge you have of WordPress, the easier it will be for you to see all the possibilities you have, make your own changes, and make sure you really have the website you want. The more dynamic and updated your website is, the better it will be positioned in Google searches. And if you do not have a great flexibility of time or your budget is limited, you are very lucky that you have many free resources to learn WordPress. You no longer have any excuse not to know about the subject. The WordPress Codex is the online manual for WordPress and a living repository for WordPress information and documentation. 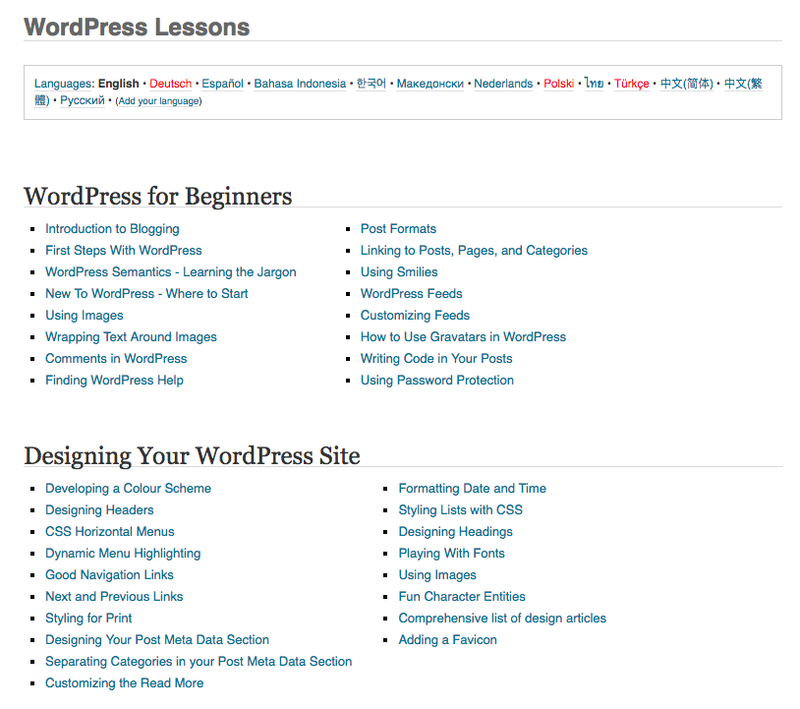 The WordPress Lessons area of the codex is a good starting point to understand WordPress and WordPress themes. Some of the articles are a little dated, but they remain relevant. WordPress Lessons of the codex. When it comes to any type of online course, the first site that comes to mind is Udemy. 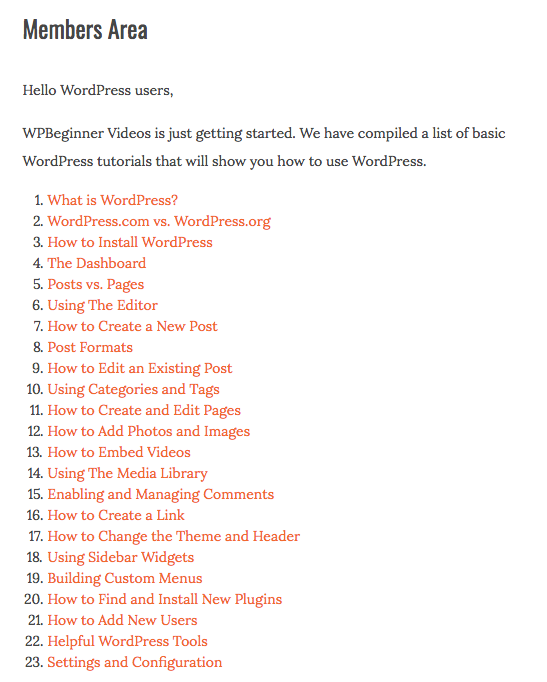 And indeed, you’ll find good videos of free (and also not free) WordPress courses. 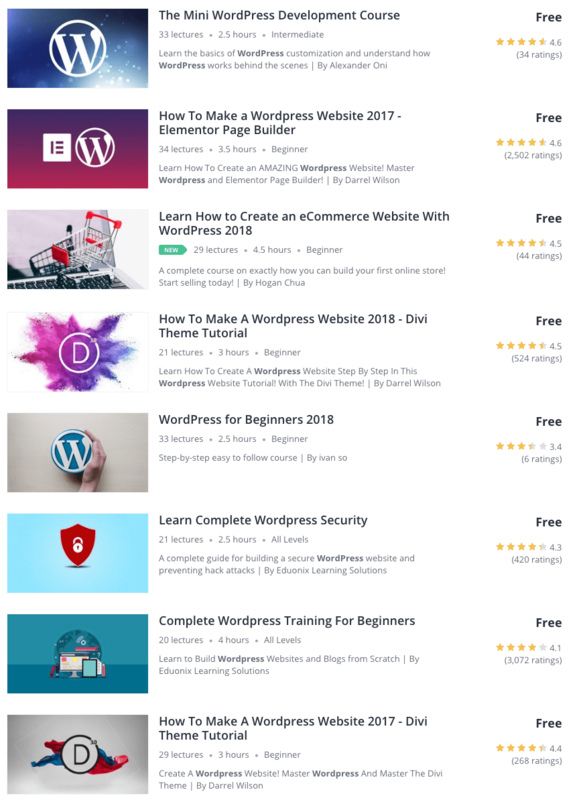 Some of the WordPress free courses at Udemy. 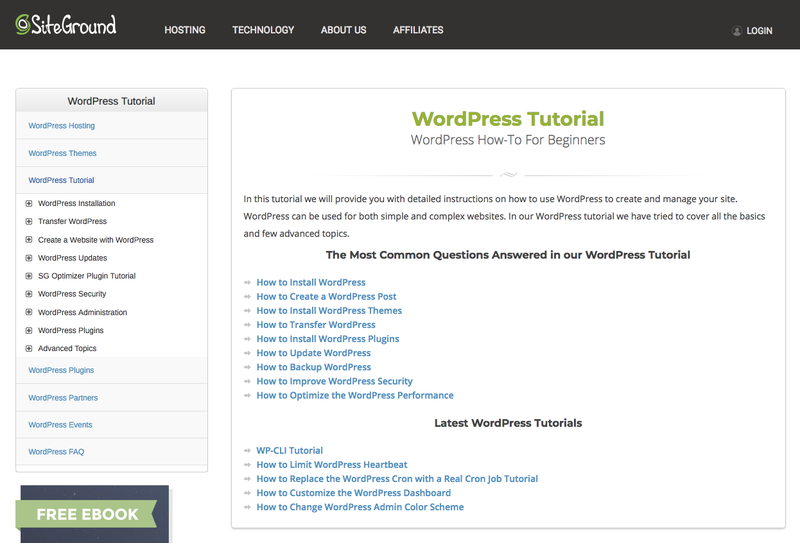 Darrel Wilson is one of the most popular tutors who offers plenty of videos with which you can learn about WordPress. 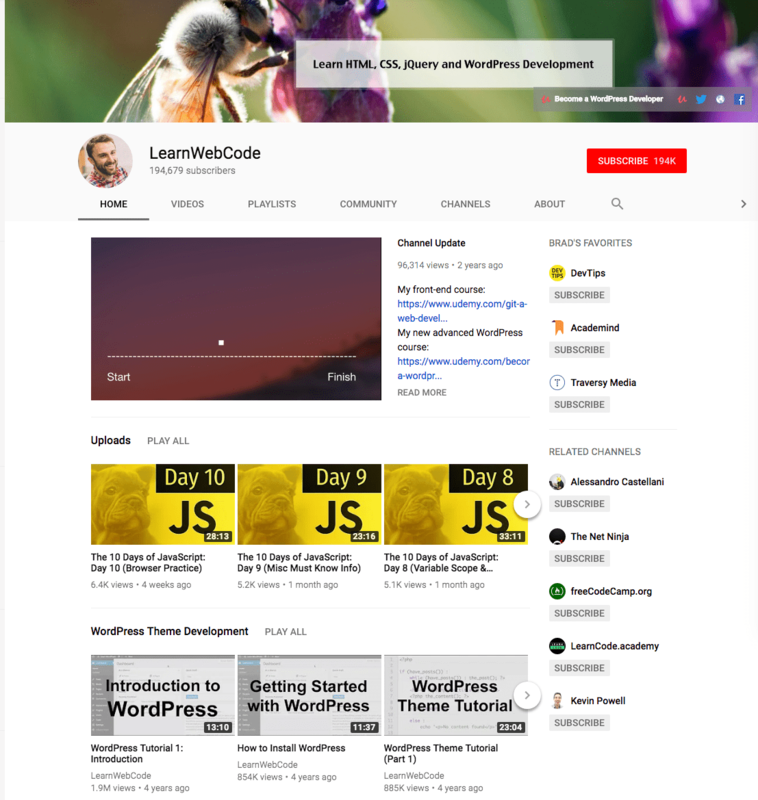 On YouTube you’ll also find tutorials for learning WordPress. 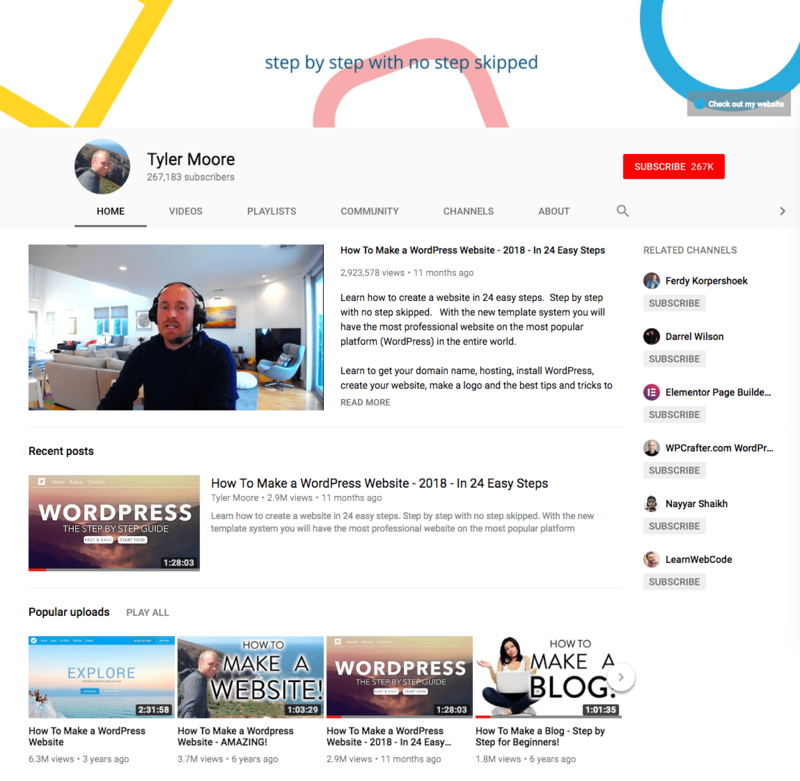 Tyler Moore, with more than 267K subscribers, offers a lot of courses and tutorials about WordPress for you to learn many tricks. 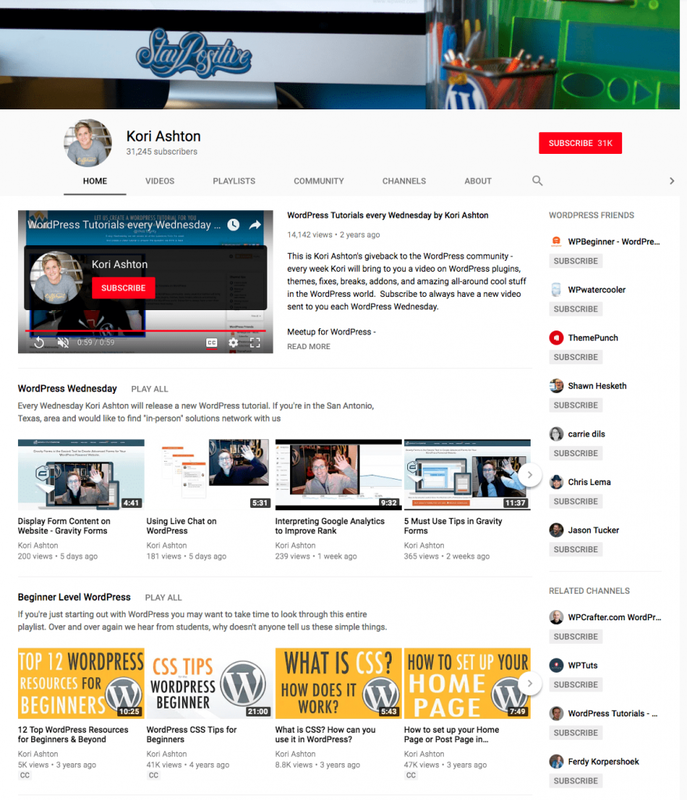 Every Wednesday, Kori Ashton releases a new WordPress tutorial. He covers topics including SEO tips, WordPress how-tos, and plugin roundups. WPTuts is part of the PsmegTV group who provide free, high quality training videos on a range of software topics. 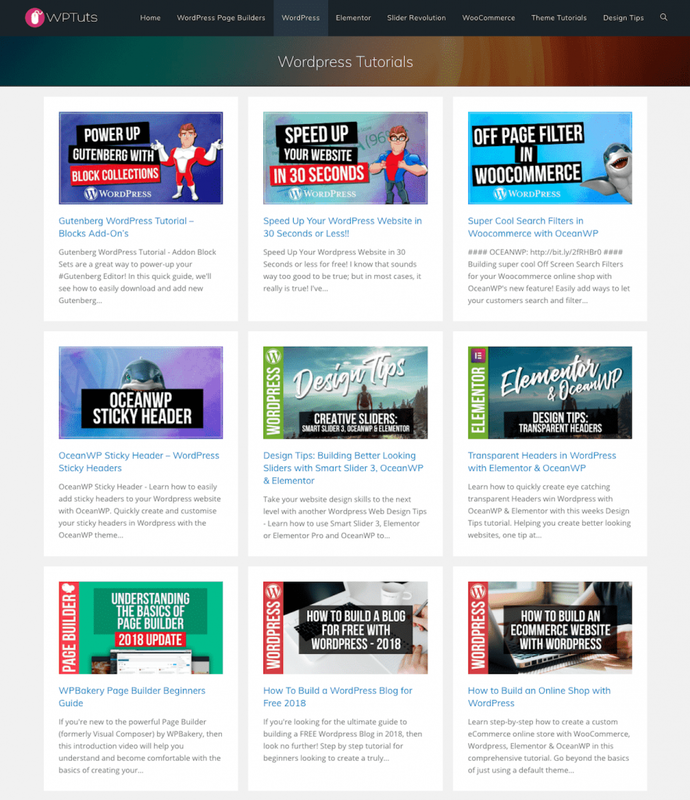 WPTuts focuses on teaching how to use WordPress, Visual Composer, Slider Revolution, Elementor, and more. 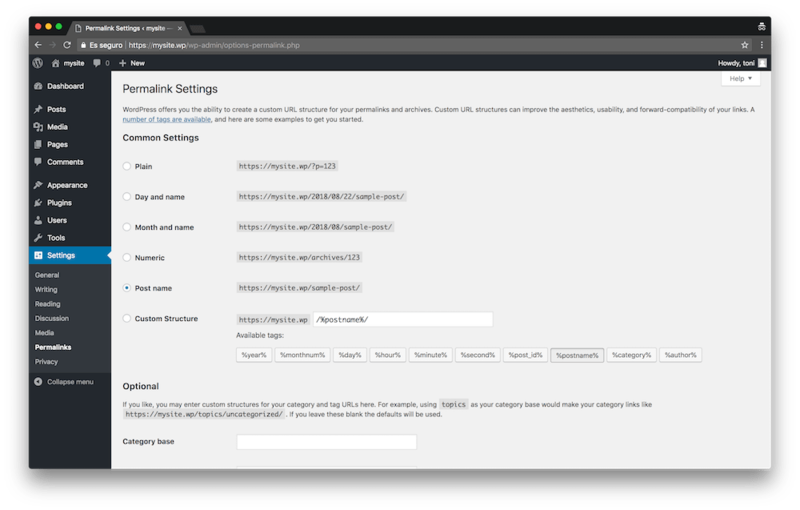 SiteGround is a hosting company that offers a very comprehensive tutorial for you to learning how to create and manage your WordPress website. WPBeginner offers a list of free resources with several types of content – written articles, videos, guides, and a useful glossary. If you are a beginner, this is a good starting point and the only requirement to access to all the information is to signup with your email address. List of videos of WPBeginner. On First Site Guide video library you’ll find more than 40 short easy-to-follow video tutorials you need to set up and maintain a blog. Topics covered include WordPress, blogging basics, and niche blogging. First Site Guide video list. 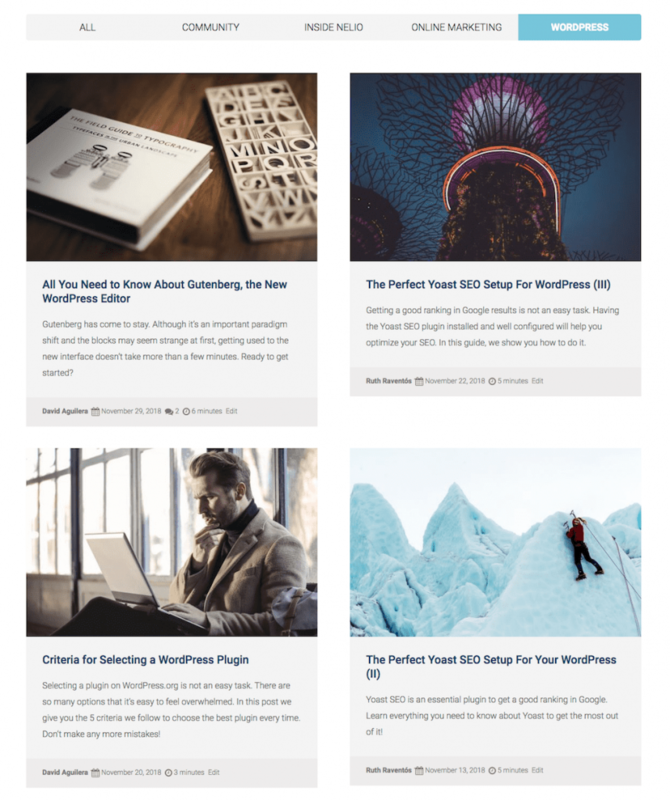 Finally, if you want to become a WordPress expert, we continually publish posts on our blog where we explain WordPress news and tips to help you become a great expert. Don’t miss all posts on our Nelio’s blog! And after you’ve created a great WordPress website, you won’t want to miss out on our free course on how to make your blog a success and make sure you stay up to date with all the WordPress news at 😉. If you know any other great WordPress tutorials, please share it with us on the comments section below. Our readers will love it! Featured image by Ben White in Unsplash. Today I’ll tell you about lead magnets. If you don’t have one on your website, or rather, a good one on your website, you should keep reading this post to discover a new way to get more leads and customers. A lead magnet is an irresistible offer about certain information, service, or any other type of experience with sufficient value for prospects to give you in exchange their email address or any other information that may be useful to you to eventually turn them into clients. A lead magnet can also be used by the reader at that moment to perform an action that helps you to become known, such as sharing on social networks the post they’re reading or talk about you. 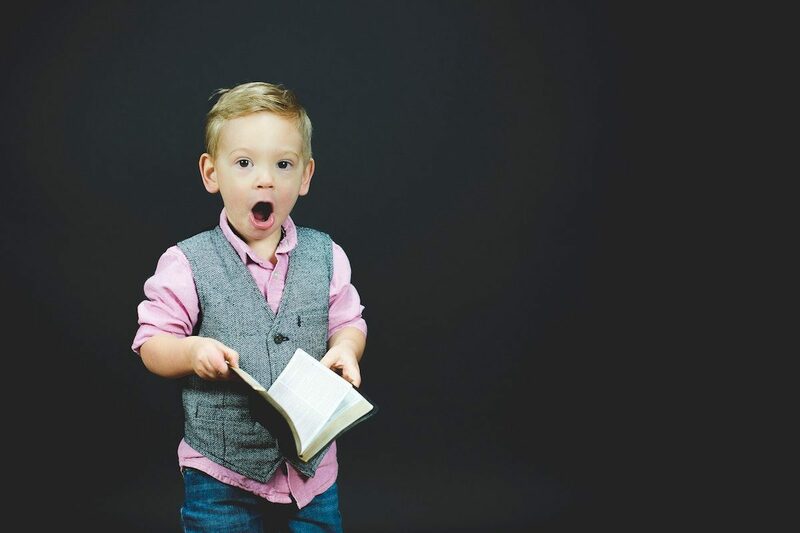 I suppose that since you want to achieve success with your blog, it didn’t take you a second to subscribe to our mailing list in order to receive the course 😉 Or didn’t you? Today we are all fed up with receiving many emails with advertising or information that we have not explicitly requested. And although this is much more regulated with the new GDPR, in general, we are reluctant to sign up for mailing lists. In fact, when you discover a blog with content that you find very interesting, why should you join their mailing list if you can already visit the blog whenever you want? This is where the lead magnet can be that little push you need to give your contact details. Beware! If your goal is to get an email from a user and then blast them with advertising, without bringing anything valuable, they will quickly unsubscribe from the list or mark your emails as spam. 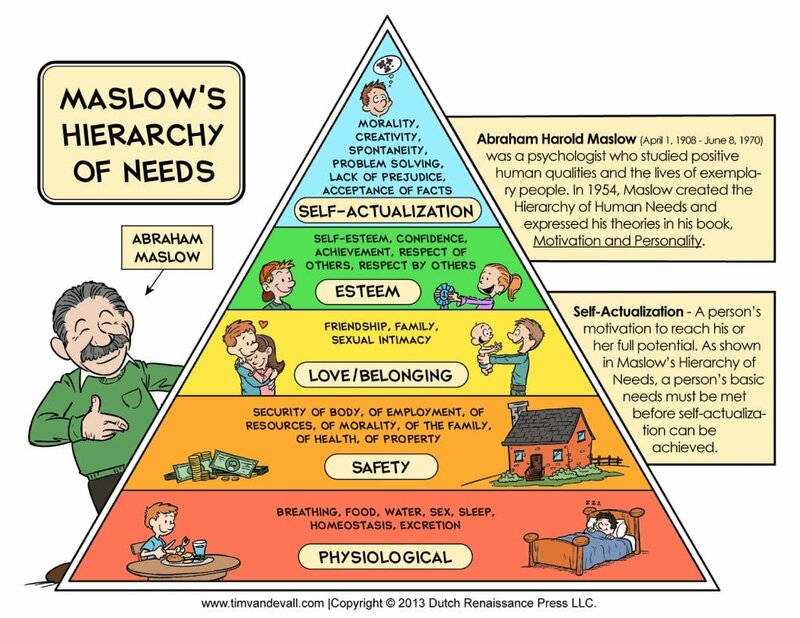 So your goal should be for that user to receive exactly the information he or she would like to receive. And surely, if everything you tell them is interesting, they will also be interested in the products or services you offer. 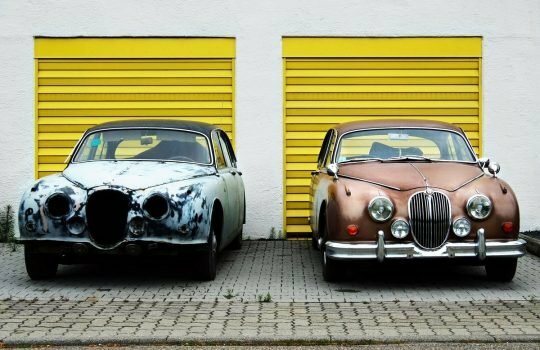 For a lead magnet to convert, that is, for visitors to do the action you want them to do, you need to define and design a set of elements that are part of the whole conversion process. First of all, you must define and create what “star product” you are going to offer your audience. For now, don’t worry about that. Later on, I’ll tell you 7 fantastic lead magnet ideas that you should try. 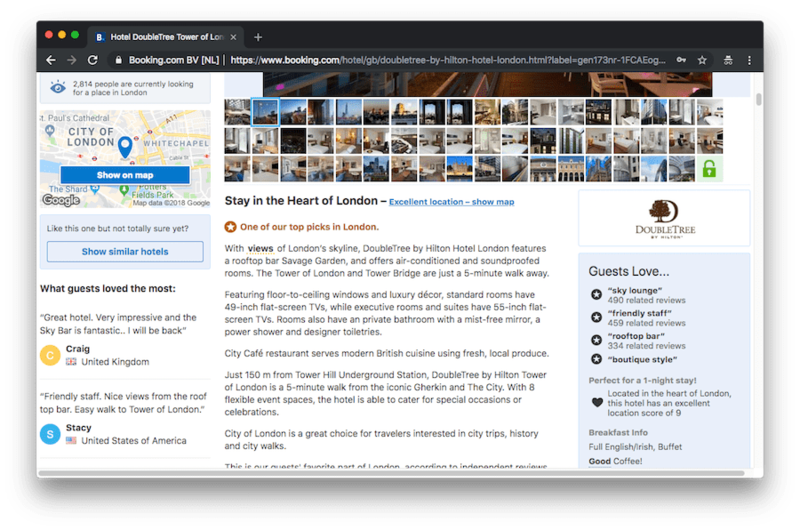 Then, define how you want to present that offer to your reader: will it be an offer that will be integrated in the middle of a post, like the one shown above? 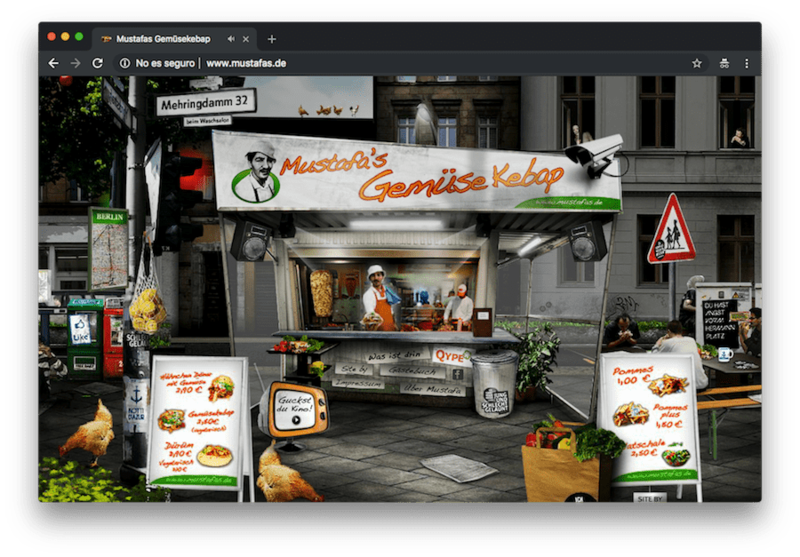 Will it be a pop-up window that will appear when the reader is about to leave your blog? 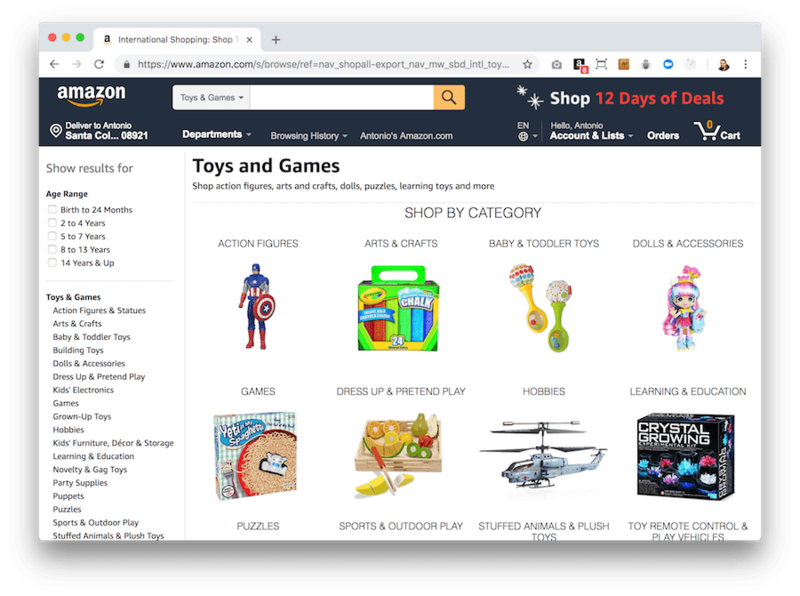 Will it be an ad that is always visible on one of your landing pages? Or a simple button with a very attractive call to action? You’ll also have to decide where you will store the data of your subscribers and which mail server you will use to send the different emails of your marketing campaigns (Mailchimp, MailPoet, Marketing360, Hubspot, etc). And you must understand how to connect your website with this mail server, so that the latter can store all the contact details you collect. You’ll need to define the form or landing page where the user will enter their contact details. 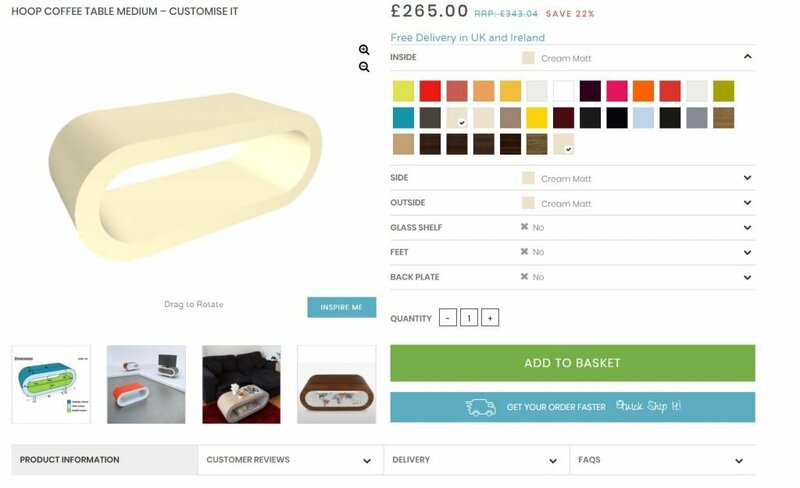 If your offer is integrated in the middle of a post, the same offer will already include the form to fill in. Alternatively, the form can be a new window or landing page to which the user lands after clicking a button. Remember also that you must include the information necessary to be compliant with the GDPR. Don’t forget this to avoid possible legal problems in the future. You’ll have to define a thank you page for subscribing. Don’t leave your new fan in doubt as to whether he has registered correctly to your super lead magnet. Finally, make sure that the new contact receives the information you promised. And establish what other actions you should take to keep your new subscriber loyal and become a customer. Now that you know the process to follow when you want to embed lead magnets in your website, let’s take a look at 7 ideas you should try. If you are an expert on a subject, there will be no reader who is reluctant to read the complete information you can offer. 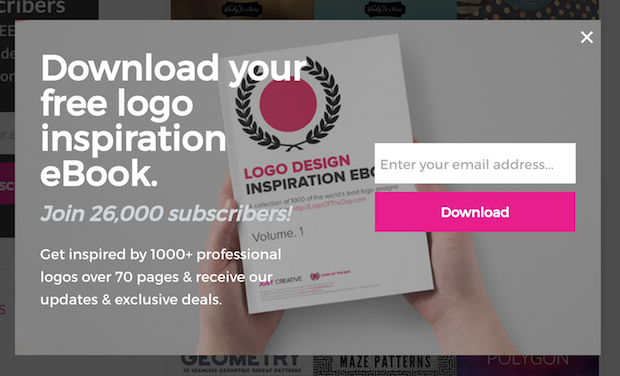 If it’s just what the reader was looking for, they won’t hesitate to subscribe and read your mini-ebook from top to bottom. As you can imagine, the creation of a mini-eBook can give you a lot of work but Anum Hussein tells you the steps you must follow to create an eBook. A complete guide on a topic can be very useful for anyone looking for information on that topic. For example, if you already have a set of articles published on your website that make up the guide in question, it costs very little to offer the reader the possibility of downloading the same information in a single PDF file. In this case, what you are offering the reader is to always have the guide in question at hand. This example of lead magnet can be found on Brian Dean’s website with his definitive Link Building for SEO guide. Lead magnet example: Brian Dean’s definitive Link Building Guide. Another option is that, instead of having the complete guide published on your website, you only have part of it, and you offer the link so that your readers can download the rest of the information. 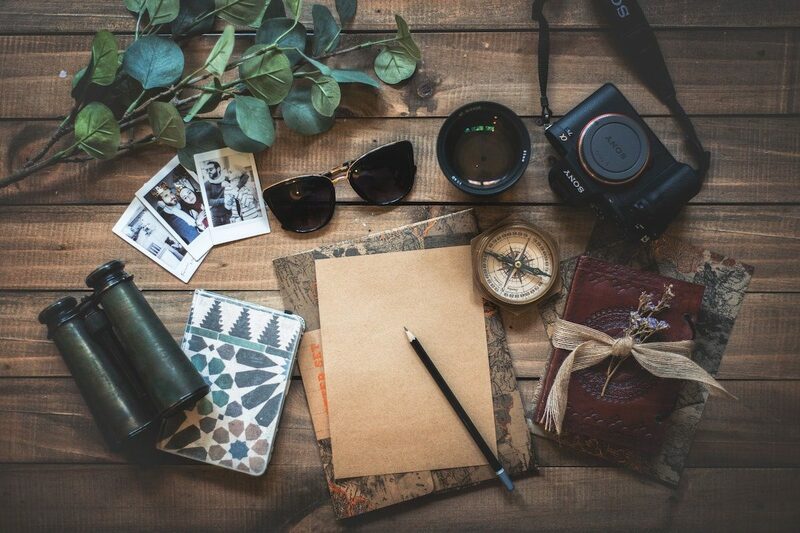 As you well know, we love lists and we love to complete them: shopping lists, orders, the list of what to take with you on your camp or trip, etc. A useful and practical list is a good lead magnet for readers. And as it’s an easy resource to create, many bloggers easily point to the creation of this kind of lead magnets. 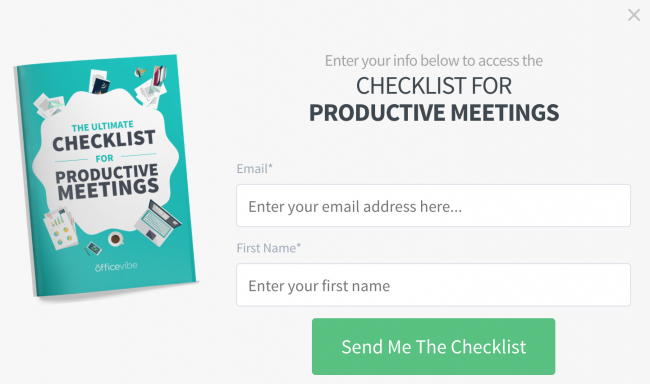 Lead magnet of a checklist for productive meetings. And remember, not only do they have to be lists of actions or tasks to perform, they can also be lists of questions such as, for example, what you should do when you want to hire someone or a certain service. Anyway, as you can see, with the lists you have a lot of options. And this is a much easier resource to create than the previous ones! Surely when you have had to do or update your resume, the first thing you have looked for are examples and templates. And so did you when you had to create a business plan or a formal letter, a planning of a certain topic, a submision, etc.. Templates are very useful resources to perform certain tasks and, therefore, they’re another great technique to get more leads. 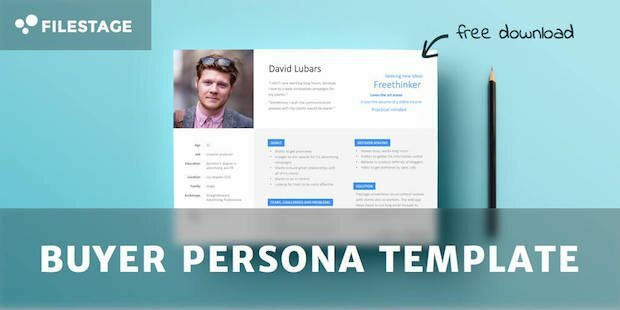 Example of template to download: Buyer persona template by Filestage. 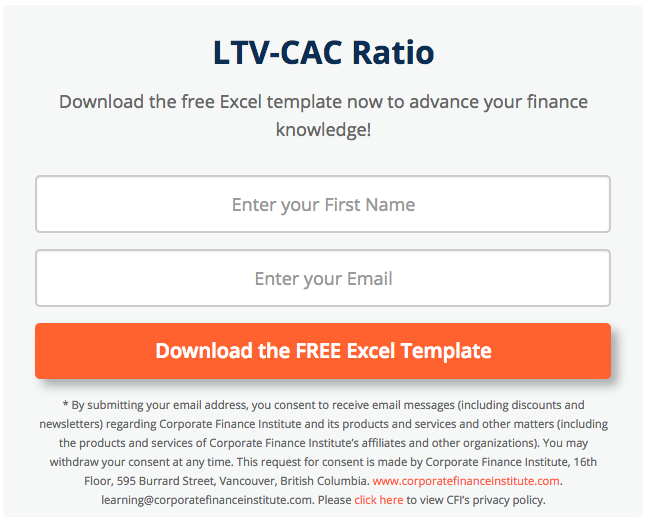 Example of excel template lead magnet for download by Corporate Finance Institute. 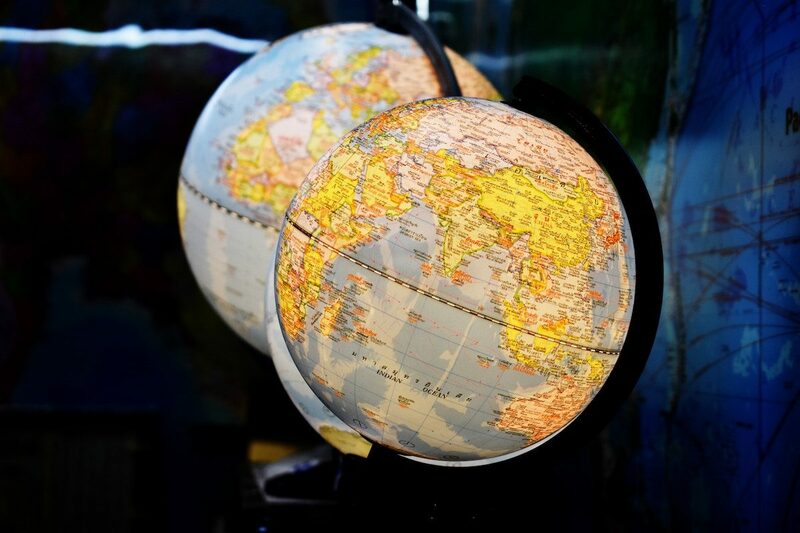 When you want to learn about a specific topic, you easily sign up for any free course on it. This type of lead-magnet is again a pretty safe bet to get leads. The courses also allow you to get to know and talk about your products and services in a much more colloquial way than with other alternatives, thus generating a closer relationship and trust with your audience. 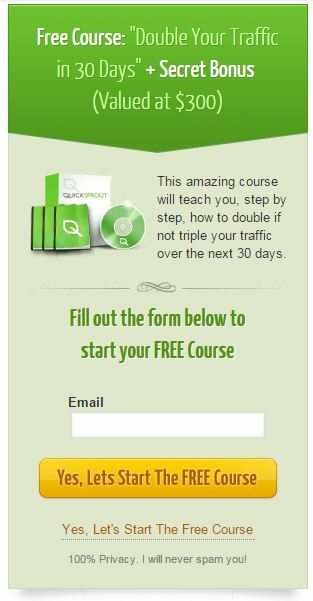 Example of lead magnet course by QuickSprout. If you don’t know where to start in order to create your course, in leanWorls you have an ultimate guide on how to do it. 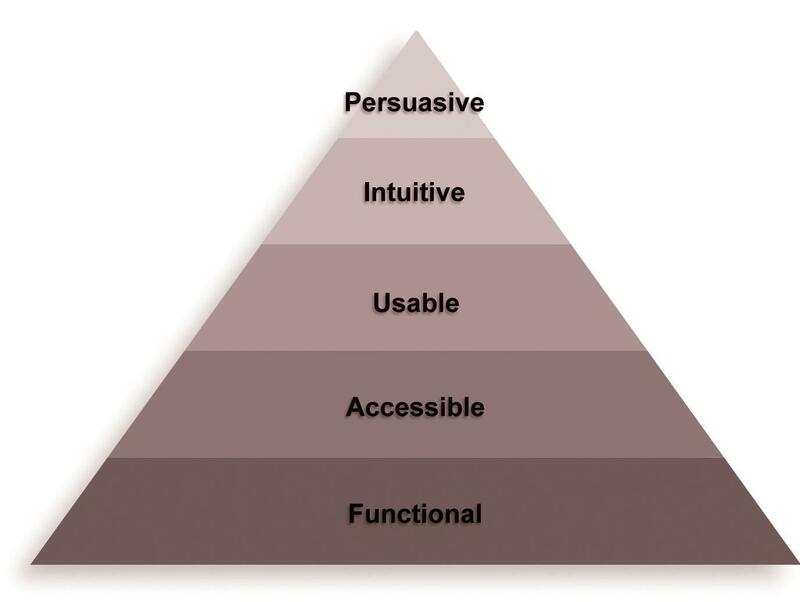 If you offer products or services, users who have already tried it are more likely to become your customers. Don’t hesitate and let people try your product, and you’ll see how well it works. A lead that is already willing to test your product for free is much more likely to become a real customer than one to whom you have offered information only. Yes, I want to subscribe to a free month to Nelio Content Premium! Another alternative to get the contact details or, better yet, have your reader become your customer directly from the beginning, is to create a discount on your product and offer it to the reader exclusively. For example, a reader interested in subscribing to Nelio Content has probably visited our pricing page. 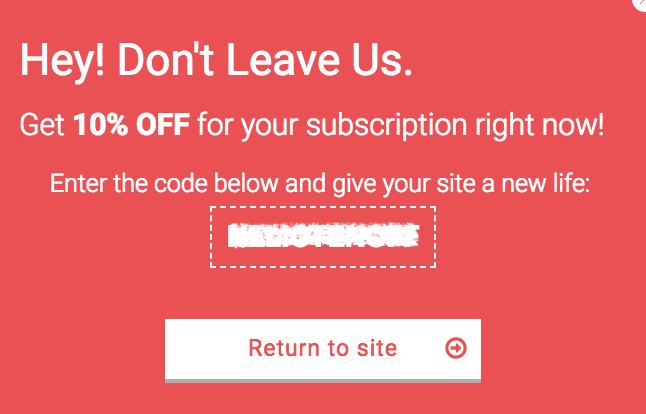 If, instead of subscribing, they leave the page, a new pop-up window will appear with which we offer them a discount code so that they can subscribe. Example of discount lead magnet by Nelio Content. 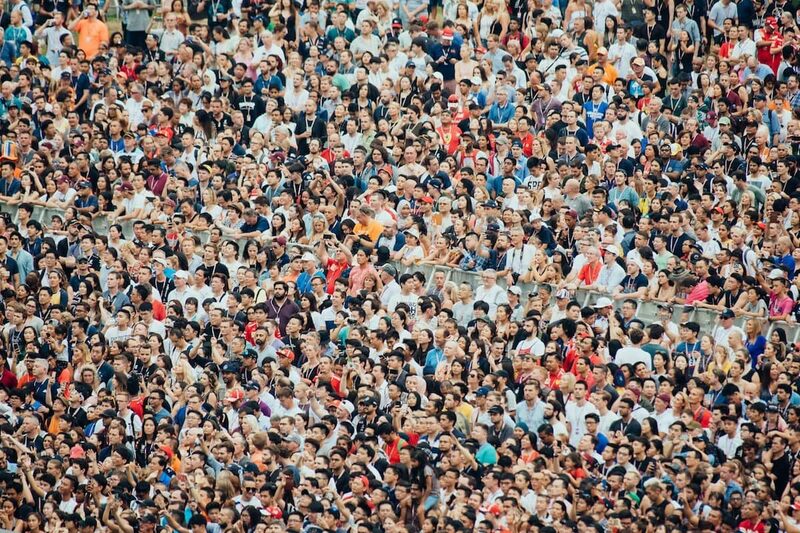 Increasing traffic to your website is not enough to get more customers and it’s critical to look for mechanisms to increase the conversion rate. How? 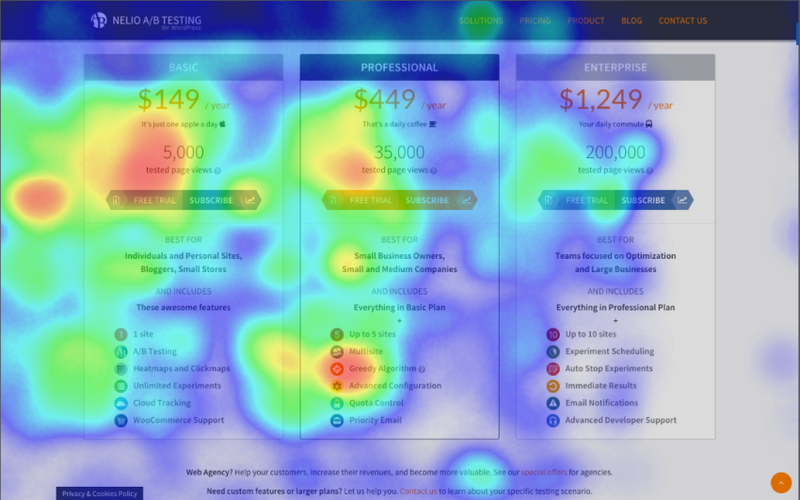 Optimize your website with A/B tests and create the lead-magnets that we have proposed here. And if you have any questions, don’t hesitate to ask them in the comments section below. Featured image by chuttersnap on Unsplash.